Talks between the Opposition and the Government re-commence to try to find a “single unified approach” – that is, one that can secure the support of a majority in the House of Commons. The Prime Minister has said that if such an approach cannot be found ‘soon’: “we will seek to agree a small number of options for the future relationship that we will put to the House in a series of votes”. And a recently published Parliamentary ‘briefing paper’ provides an overview of current medicines regulation in the UK and EU; on Brexit negotiations so far on this issue; and views on future regulation. It looks at the potential impacts of a no-deal Brexit scenario - and the state of Government preparations for this scenario. Business and commerce should not stand down their no-deal contingency planning for the next six weeks. They can and should, however, now factor ‘continued UK trading on EU terms’ into medium-term strategy planning and budgeting thought to 2021. Our call has been further endorsed by the views of MakeUK Managing Director, Simon Phipson. “MakeUK” is the ‘new name’ for the EEF and represents over 5000 UK manufacturers. We also included a briefing for MPs in support of our conclusions on the probabilities of the main scenarios open to the UK. It is ‘highly probable’ that the UK will take part in the European Parliament elections on 23 May. It looks ‘increasingly likely’ that the UK will be a full member of the European Union until at least the end of October 2019 – and possibly to the end of 2020. This post sets out the thinking behind the call to pick up the momentum on strategy planning – and some of the process and timing of events on the political front to avoid them causing distraction or an excuse for continuing to ‘wait and see what transpires’ before acting. The risk of a delay is the continuing drain of business confidence as the uncertainty goes on for another 6 months. As if to underline the point, civil servants have been told to ‘shelve’ preparations for a no-deal Brexit with immediate effect. It is estimated that 16,000 personnel have been moved to departments impacted by Brexit – at a cost of £4 billion. ‘Project Yellowhammer’ – the Government Cobra Committee overseeing emergency responses to a no-deal Brexit has been disbanded. Having posted daily insights counting down to Brexit from 100 days – with a reset at B – 4 to B -14 on the first extension from 29 March to 12 April, this will be the last daily post for a while. There is a new countdown. Listen to Brexit Partners’ Prof. John Ryan lunchtime talk at the IFO Economics Institute in Munich on January 24, 2019 discussing the UK’s relationship with the EU. DXC Technology and Brexit Partners announce collaboration to guide clients through Brexit scenarios. DXC Technology (NYSE: DXC), the world’s leading independent, end-to-end IT services company, and Brexit Partners, a specialist Brexit strategy advisory ﬁrm, are collaborating to enable clients to mitigate any negative impacts from Brexit and where possible, disrupt the market, innovate and create competitive advantage. The two organisations are developing bespoke programmes and methodologies, underpinned by cutting edge transformational technologies, to enable clients to address Brexit as efﬁciently as possible. Sign up with your email address to receive regular Brexit news and updates. This is an excellent opportunity to get an expert view on the expected impact of Brexit on Professional Services suppliers, so that you might ensure that your consultancy category strategy addresses the issues raised. 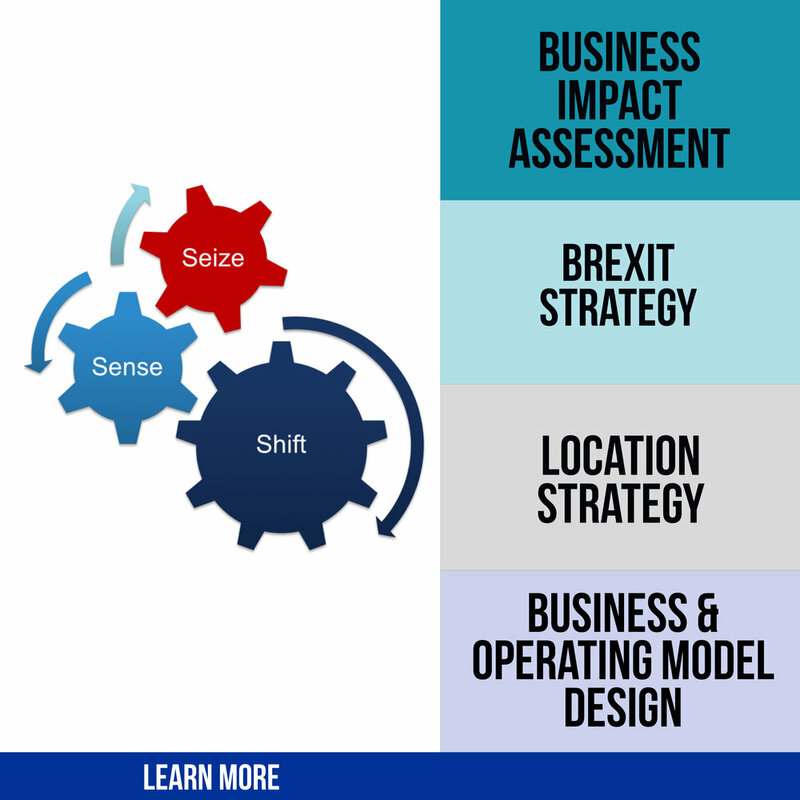 Despite all the doom and gloom in the headlines, Brexit will also provide businesses with a host of new opportunities, and this will be the focus of our first Insight Breakfast P2 Consulting are hosting in partnership with Brexit Partners. Hear Brexit Partners' Dr. Ray Nulty and Chris Brannigan discuss the possible impact of Brexit on professional services and procurement at the CPC annual event. We will be exhibiting at Going Global Live 2018 - the UK’s leading European exhibition and conference for businesses that are looking to expand internationally, export products or set up overseas operations. There is a lot to get involved in so make sure you don’t miss us at the event! The Summit will cover in-depth analysis of current trends, regulations & challenges in risk, compliance, audit, IT & cybersecurity, GRC use cases and best practices from mid-sized and large enterprise from across Europe, workshops that deep dive into readiness and preparation for GDPR and BREXIT.